View the entire film online at NFB.ca http://www.nfb.ca/film/21-87. 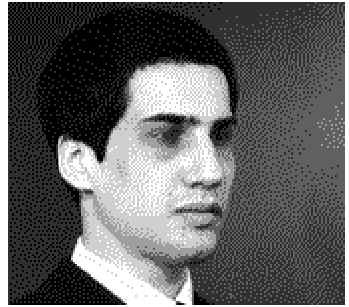 It would be easy to perform a logical and technical analysis of Canadian artist Arthur Lipsetts 1964 film 21-87. One could describe the different issues that he confronted in his film and their importance within the social-political context of the late 50s and early 60s. Many interesting articles could be written on his incredible sound montage and strong film editing skills of recovered images. However, each of these approaches would merely be surface analyses of the images and sounds that compose the film. They would address the facts and flat truths of the fragmented images, but would entirely miss the film's deeper meaning, its powerful psychological effects and its artistic inspiration. In fairness, Lipsetts film illustrates a technical and artistic capacity for creating collage films. 21-87 is entirely composed of found footage and cuts of film that were discarded in the editing process. Lipsett then interwove and juxtaposed these fragments of film with an original patchwork soundtrack. The structure of the films is integral in communicating the potent connections between the images and ideas. Within the convention of 60s avant-garde collage films, his work reacted against the dominant ideologies of the time. Like Bruce Conner, another collage-style avant-garde filmmaker, Lipsett exploited images that typified the concerns, creations and insecurities of contemporary society; images of science and technology, images of war and destruction and images and sounds of religion. Lipsett was especially interested in representing industrial dehumanization, the decline of religion, non-American religious traditions, consumerism, apocolyptic thinking and mans senseless pursuit of self-annihilation. However, to limit the discussion of 21-87 to the context of a typical collage film would be superficial. Some collage films, such as Conners, are certainly more visually interesting and technically precise. However, they fail to make a strong psychological connection with the viewer. In contrast, Lipsetts films possess the ability to psychologically and emotionally affect the viewer. This powerful effect in accomplished because his films are an emotional reaction, not simply to the historical and institutional context of their creation, but to the condition of his mind. In this way, 21-87, transcends the category of avant-garde collage statement films to become an unconventional psychodrama. The film 21-87 does not adopt a trance or dream structure like Maya Derens or Stan Brakhages films. Lipsett does not need the conventional special effects or photographic illusions because the editing structure of 21-87 is sufficient to create a convincing portrait of his depression and despair. His film is an intensely personal portrayal of the mind of a hyper aware individual. It was not Lipsett's intention to depict the world as an inherently terrible place for everyone, but simply a terrible place for himself, through his interpretation. He shares his interpretation by combining the images and sounds that saturate everyday contemporary life into an overwhelming statement guided by personal insight. Though his insights became increasingly illogical and paranoid, the clairvoyance of his vision and his talent for self expression are demonstrated by his remarkable ability to create a personal narrative experience from banal and impersonal fragments. In creating 21-87, Lipsett deconstructed the conventional National Film Board documentary. He also salvaged many outtakes and sound tracks that would never have been preserved. From these compiled fragments emerges Lipsett's diary that focuses on identity, alienation, boredom and mistrust of logic. Lipsett explores the concept of identity, or the loss of identity by a series of shots of anonymous faces. Each face is briefly examined and then the next face appears. Lipsett's method of cutting between unrelated faces and by playing a completely unrelated dialog successfully makes the faces appear disconnected and without context. Lipsett also satirizes the loss of identity through the sound byte of a confident voice describing a person's happiness at being addressed by the number 21-87. Lipsett uses his artistic ability and satirical humour to focus on the loss of identity to technology, and to express his fears over lost or unknown identity. Another element in Lipsett's troubled life was his feeling of alienation from his peers and people in general. He felt separated from people and this allowed him to study them from a distance, often with great scrutiny. He especially enjoyed images of people doing strange or dangerous things. He often showcased curious acts and occurrences, without necessarily understanding their context. Lipsett had the ability to create feelings of misunderstanding and alienation in his audience through these senseless images by separating them from their logical (or illogical) explanations to reveal their inherent strangeness. He shows a long sequence of anonymous adolescents dancing like robots to some unheard music. By removing the music, and therefore the context, he allows the image to transcend the boundaries of its logical interpretation. Instead of dancing teenagers, the viewer notices the ridiculousness of the characters' movements and the relationship between identity and loss of human attributes to technology. Lipsett also illustrates alienation in 21-87 by editing images of people to emphasize their disconnection from the world around them. Often people are staring into the sky, or at nothing the viewer can discern. These disconnected and unseeing individuals are inter cut with images of animals to examine humans' alienation from nature and the environment. The limited interaction between humans and another species parodies the scientific community and their misplaced desire to analyze other animals, instead of understand our relationship with them. Though loss of identity, alienation from society and many other dominant ideologies are reflected through the images and editing of 21-87, Lipsett also displays personal feelings of entrapment and despair through the circular editing of the images. The film does not seem to progress in an understandable logic and does not provide a final answer to the questions it provokes. It simply says, "Think about what you have seen. This is how I feel and see our world, and my vision may be flawed, but it may also be truth." When a viewer realizes this message, Lipsett's personal objectives of self-expression have been met. The viewer understands a small part of Arthur Lipsett and the mysterious vision he held of his world. Enhancing the personal interpretation of 21-87 are the deeper meanings created by its sound montage and image editing. Lipsett has the ability to alter and combine flat images and sounds to project a much less literal, but more meaningful significance. It is within this paradox between the factual truths of the images and the transcendence of such half-truths that 21-87 succeeds.